Morningside House of Friendship opened in 1998 and significantly renovated in 2018. 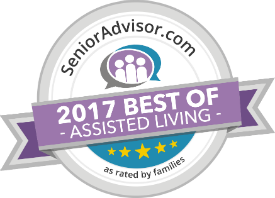 Our community for memory care and assisted living in Hanover, MD, features 75 lovely units making up studios, one bedrooms and semi-private rooms furnished with wall-to-wall carpets and mini blinds. We offer residents the comforts of home and their family members peace of mind. Morningside House of Friendship offers freedom and an ideal lifestyle for each of its residents to enjoy life in our Hanover, MD, assisted living community however they choose. Our residents live with the comforts of the Senior Lifestyle service culture, from restaurant-style meals to weekly trips and outings. At Morningside House of Friendship, we strive to provide all the services and attention needed to help our memory care and assisted living residents get the most out of life. Our unique and dedicated staff are here to help you transition from any situation to our lovely Hanover community. You will instantly feel that our community is filled with caring staff that are at your service. Morningside House of Friendship has an on-site medical director and two memory care neighborhoods that allow for aging in place. At Morningside House of Friendship, we take each and every day to strive to make our residents feel cared for and carefree. In this memory care and assisted living community in Hanover, MD, we’ve created an environment where our residents have a warm, home-like environment perfect for socialization with friends new and old and family members with elegant, spacious rooms available. The residents and residents’ families of our community for assisted living and memory care in Hanover receive valuable peace of mind knowing that licensed nursing staff is available 24 hours a day and an emergency call response and security system is in place for residents with dementia. Prior to moving in to our community for memory care in Hanover, we speak with you and your physician to find just the right level of assistance that will allow you to enjoy your independence to the fullest. Together, we will compose an Individual Service Plan (ISP) to guide our senior living in Hanover, MD, staff in assisting you. Nurses and resident assistants are always available to assist with medication administration, incontinence care, and the activities of daily life. Our mission is to provide a lifestyle that fosters independence, actively engages the mind, invigorates the body and nurtures the spirit while offering you and your loved ones the peace of mind you deserve. While some communities insist on new residents putting down huge, non-refundable payments up-front, we like to do things a little differently at Morningside House of Friendship community for memory care and assisted living in Hanover, MD. We care about not only the physical and emotional well-being of our residents, but their financial health as well. That’s why we offer our Hanover residents all the perks of country club living without the expensive buy-in—just a simple lease. Lisa Kemper has worked in the senior housing industry for over 25 years. She has spent the last 17 years working with the wonderful residents of Morningside House communities. The ability to make a difference in the lives of residents, their family members and friends drives her to create a comforting and caring environment in the community on a daily basis. Morningside House of Friendship is a community that fosters a home-like environment, Lisa says that she and her team focus their efforts to show respect, dignity, and appreciation to each and every member of their Hanover community. Morningside House has a longstanding tradition of excellent care and best in class personnel who take pride in treating our residents as important and respected members of the entire Hanover community. When not at Morningside House of Friendship Lisa can be found spending time with her kids playing board games or football. Lisa would love for you to stop by to see Morningside House of Friendship for yourselves!